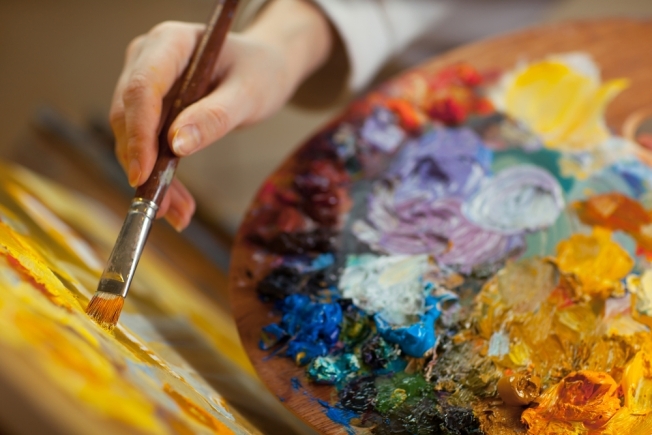 You may be an experienced artist, or maybe you're a novice who wants to hone your skills. Either way, you can encourage your inner creative genius at the World of Color Expo at the Dulles Hilton, coming up Nov. 12-15). The event brings experienced painters from all over the region into one location to offer classes, seminars and demos. Register to improve your skills or just spend the day with friends learning something new. Painting classes will be held in well-lit classrooms and vary by skill level. Courses include painting with oils and acrylics, learning how to paint animal portraits in pastels, and mastering the techniques to create breathtaking skies with oils. There's even a kick-off painting party on Tuesday (6:30-9 p.m.) that will be giving out $75 worth of supplies, a holiday wine glass and a painting for each person that attends. Cost of the event is $35. Regular class fees start at $18 plus supplies for a two-hour session. One-day registration is $40, and is required to get into any class. If you prefer to register for the entire expo instead of an individual day, you'll pay $125. Registration for entire expo includes a goody bag, name badge, unlimited entry and the ability to purchase classes. Don't feel like painting? That's OK, because painting demos will let you just be a member of the audience -- Bob Ross would be proud. The World of Color Expo will be held at the Dulles Hilton (13869 Park Center Road, Herndon, Virginia), about 40 minutes from downtown D.C. The Hilton is also offering special packages for guests to stay for the event.